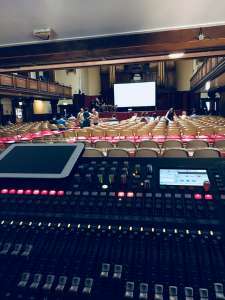 We were really pleased to be booked to provide the AV & PA support for a couple of live events at this year’s European Association for the Study of Science & Technology ( EASST ) conference, held this year in our very own city of Lancaster. Apparently 2017’s event was in Barcelona – well LA1 certainly had the weather to rival it in July this year ! First up was provision of a very large projection system & PA for speech & presentations in Lancaster’s wonderful Ashton Hall, including in-fill speakers for those sitting in the balcony area upstairs. 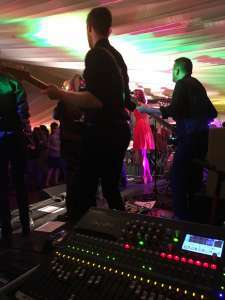 We also recorded the various presentations – the built-in USB recording on our Allen & Heath Qu24 FOH console came it pretty handy here as the client had forgotten to ask us about recording the event until that same day! The second event was the ‘wrap’ party for the whole event, where the various delgates & guests got to let their hair down. 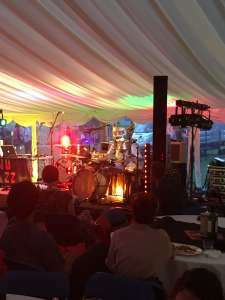 Held in large marquee outside County College, Lancaster University Low Fold provided live sound & lights for the evening’s entertainment in partnership with our friends at More Music. 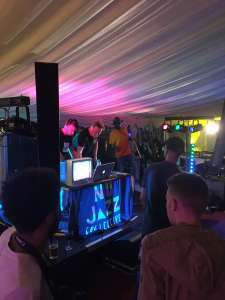 Acts included DIY synth-maverick Paddy Steer, More Music’s own Nu-Jazz Collective & local soul & RnB favourites The Groovecutters. 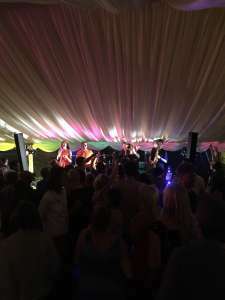 Suffice to say alcohol & dancing featured heavily ( though not for us – hard at work ! ) & a grand night was had by all.